My Identity Is This Expanse! is a film and installation in virtual reality, where is told the story of a single child which is resilient to despair, seeking for freedom through his own memories, his imagination and especially the strength of poetry If I Where Another of Mahmoud Darwich. This poem rebuilds him little by little in the face of exile, of violence, of confinement in a box of vegetables - his hiding place and transportation as a refugee child. Karolina Markiewicz and Pascal Piron’s collaborative work creates links between film, visual arts and theatre. At the center is the individual person as part of a human community, oscillating between resignation and hope. Karolina Markiewicz studied political science, philosophy and theatre and works as a film and theatre director. Pascal Piron studied visual arts and works as an artist and film director. Both work as teachers. Their cooperation started in 2013 and allowed Pascal Piron to take a step away from painting and to look at image from a different way, not only when it comes to two-dimensional perspective, but also space. For Karolina Markiewicz, it was an occasion to come back to research about directing and literary writing as well as to finalise a documentary project from 2008. The result was their documentary video installation Les Formidables (2014), which tells the story of five young migrants in Luxembourg. 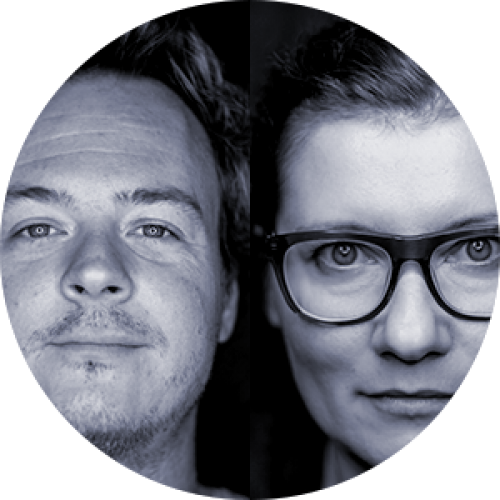 In 2014, they founded the video blog kulturstruktur.com. In 2015 they worked on the project Philoktet, which includes the homonymous play by Heiner Müller and an exhibition relating the Greek tragedy to Robert Oppenheimer and the atomic bomb. As part of the preparations for this work, Karolina Markiewicz participated at a workshop held by Romeo Castellucci organised during the Theatre Biennale in Venice in 2015. At the same time they released their second documentary Mos Stellarium, produced by Tarantula and supported by Film Fund Luxembourg. The documentary (52 minutes) follows six young refugees in Luxembourg. Part of this project is the installation of Mos Stellarium, which offers different parts of the movie simultaneously, thus giving a non-linear reading of the film. Karolina and Pascal have participated at the 56th Venice Art Biennale in 2015, with this video installation. The documentary premiered in Luxembourg in 2015 and was shown at different festivals (Festival du film de la ville de Québec, European Film Weeks (Helsinki), One World Film Festival (Bucharest), 4th Silk Road Festival, (Dublin)). The most recent works are a series of short films entitled Side-Effects of Reality, shown in a solo exhibition at Casino Luxembourg - Forum d’art contemporain in Luxembourg (2016), at Rencontres Internationales in Paris (2017) and Argos Centre for Art and Media in Brussels (2017). They explore history in a poetic way, creating myths of the present by transforming the past of certain locations into a metaphorical narrative. Upcoming exhibitions include Vienna, Bejing and Taipei.Karolina and Pascal are currently working on a feature film in Virtual Reality.